You can organize a graduation party, birthday bash or business meeting for up to 12 people at the Country Inn & Suites in Zion, IL. 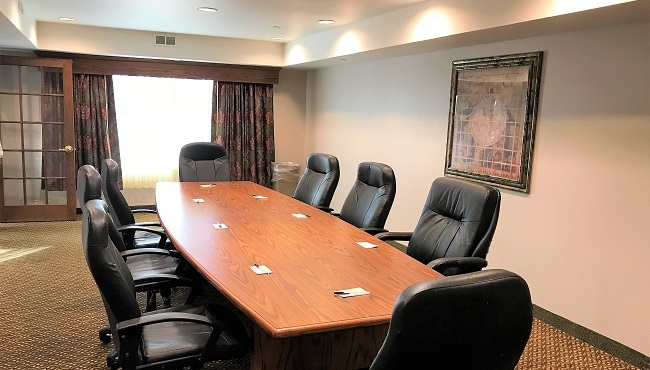 Our boardroom features free high-speed Internet access, and our friendly staff can arrange for audiovisual equipment and complimentary water service. Need help coordinating with your guests? We can set up a personalized Web page for your event that contains all the details guests need to know. If you need a larger event venue, you can reserve the lodge at ThunderHawk Golf Club, located a short drive from the hotel.